Happy Saturday folks! I've got a couple Paper Smooches cards to share today. 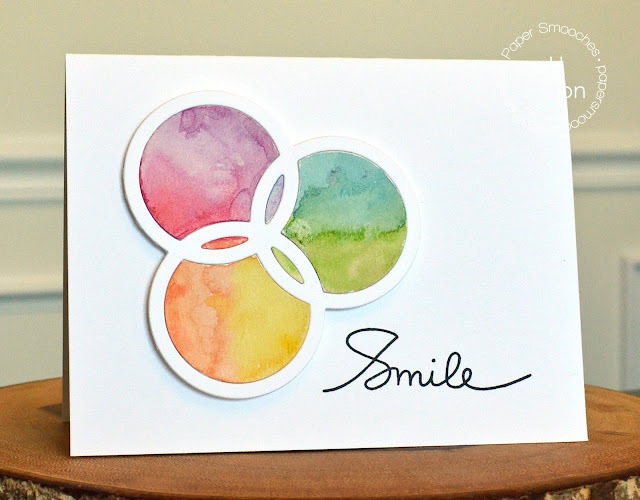 I hope one of them tickles your fancy;) The first card uses the new Ring Trio die. 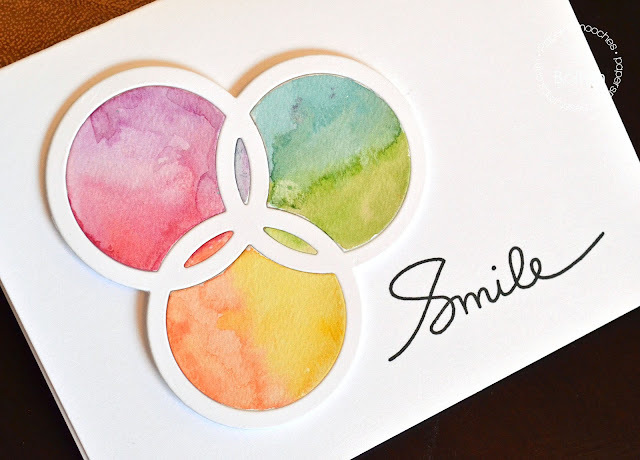 I used water colors and inlaid them into a die cut. Love how this turned out! This second card is something completely different;) I used the new Tooth Fairy die to create a little card that you the Tooth Fairy can leave some money in under a pillow. My favorite part of this card are the gold fairy wings. I heat embossed the wings using a butterfly stamp from the Graceful Beauties set. (I also used Sunny Side Up set for the teeth and the Thanks 2 die) Lots of fun to make! Both cards totally make me smile. Love the watercolored inlaid circles and the wings on the tooth fairy...so clever! Have a great weekend!! Sending you hugs and best wishes for a very Happy Mother's Day!!! That tooth fairy is too fun! Love it! 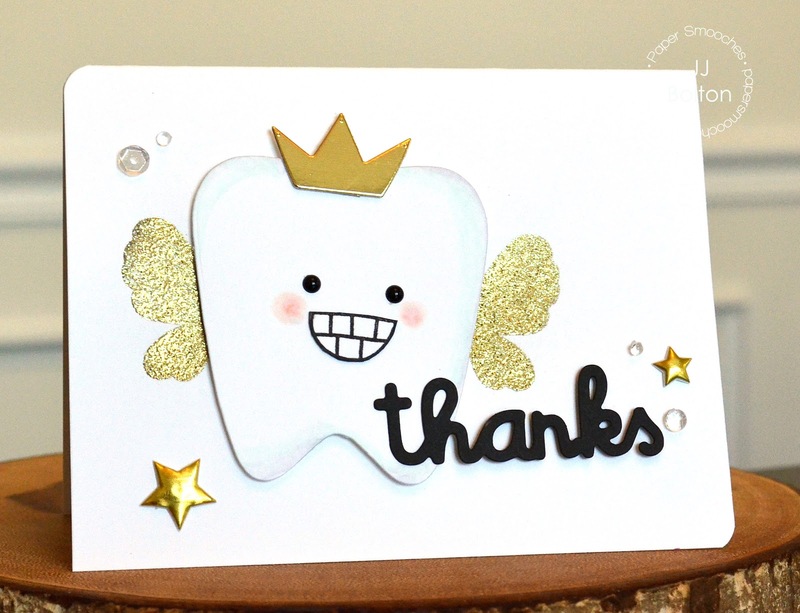 LOVE both projects, and I'm especially smitten with that tooth fairy and her gold wings!